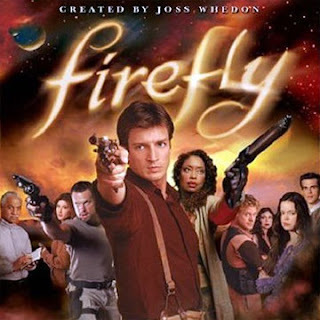 In Joss Whedon's short-lived, much- acclaimed, 2002 TV series Firefly, the show's main characters repeatedly refer to "The Universe" as "The 'verse"—an abbreviation that suggests, to Poetry & Popular Culture at least, that outer space is one big poem and that Captain Malcolm Reynolds and his team of intergalactic space cowboys have set out to read it all. This overlap of poetry and science fiction isn't new to Firefly, though. While we were browsing the used books section at the local Book Bin, for example, we came across a stack of decrepit old magazines including the issue of Fantasy and Science Fiction from February 1962 pictured below. On taking a look at it, we landed on a poem by Lewis Turco—a University of Iowa Writers' Workshop graduate and prolific author of a bunch of books including eleven poetry collections and The Book of Forms: A Handbook of Poetics. Turns out, Turco—who also writes under the pseudonym Wesli Court—penned "Excerpts from The Latterday Chronicle" while studying under Paul Engle and Donald Justice at Iowa. This struck the P&PC office interns as kind of odd, for when they think of poets trained at the Writers' Workshop, they don't at all imagine them wanting to publish in The Magazine of Fantasy and Science Fiction. So we caught up with Turco and asked him to explain himself. 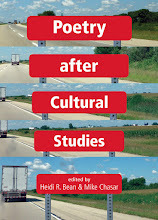 Poetry & Popular Culture: Can you explain yourself? P&PC: Wait a minute. What do you mean you wrote for the local paper? Did you write good bad poetry? LT: You bet. In my teens I was a high school correspondent and cub reporter for the Meriden, CT, Morning Record, and I was the morgue clerk—the "morgue" is the clippings file that newspapers kept of their stories which were clipped out and filed for future reference. I won a local fiction prize in 1949 and that story was my first publication in a local paper. From then on I wrote all sorts of things, including news items and verse for the local papers. P&PC: Sorry to interrupt. Back to sea. LT: In the Navy, I was a yeoman—not an English farmer but an office clerk—and sailed around the world (actually) aboard an aircraft carrier, the Hornet. There's nothing for a clerk to do at sea, so I read a lot and wrote a lot—the ship had a good library. By the time I got out of the Navy and went to college, I was already better published than many of my teachers at UConn. In college, after the Navy, besides receiving the G.I. Bill (which is why I'd enlisted), I was awarded two scholarships by the Record newspaper. The reason I got into the Workshop was because of my publication record. P&PC: "Excerpts from the Latterday Chronicle" (pictured to the left) wasn't the first poem you'd published in Fantasy and Science Fiction either. What did people make of this habit? LT: While I was a grad student in the Workshop, I submitted two poems to F&SF, which I'd been reading since issue one. Both were accepted, and the first, "A Great Grey Fantasy," was published almost immediately, in January of 1960. "Excerpts" wasn't published until 1962. I don't remember people having any reaction to either poem. The Workshop people would have sneered if they'd known about it, and academics didn't read sci-fi or fantasy then, though they do now. P&PC: But Engle had just written a libretto for a Hallmark Hall of Fame opera, A Christmas Opera, by Philip Bezanson, which aired in 1960. Would Engle have sneered too? JT: I'm sure he would not have. In fact, I was his Editorial Assistant in the Workshop at the time, working on a Hallmark anthology, Poetry for Pleasure, and another for Random House, Midland: Twenty-Five Years of Fiction and Poetry from the Iowa Writers' Workshop, so I may have shown him "A Great Grey Fantasy," though maybe not—he was gone off campus so much. P&PC: Where's the rest of The Latter Day Chronicle? LT: There is no more. The "Excerpts" were merely meant to suggest the rest of it. P&PC: We're used to talking about "genre fiction." What would it mean to talk about "genre poetry" as well? 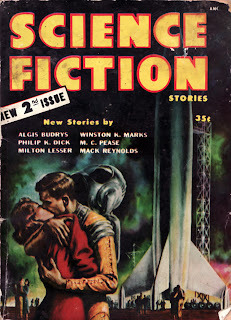 You know, "I read a lot of sci-fi poetry..."
LT: I don't know if it still exists, but there used to be a Science Fiction Poetry Association located in Los Angeles. They published a magazine called Star*Line, and I used to publish there and in their Rhysling Anthology of prize poems. But you know, this idea of "genre" writing annoys the hell out of me. Edgar Allan Poe wrote fantasy poetry, and so have poets throughout history. Anybody ever read Beowulf or Sir Gawain and the Green Knight, or "La Belle Dame sans Merci" or The Faerie Queene, or "The Rhyme of the Ancient Mariner," or "A Midsummer Night's Dream"? Gimme a break. P&PC: Well, what's the future hold for such poetry then? LT: Last night my wife and I went to see the new movie Avatar. It's a great sci-fi/fantasy flick, the biggest one ever and great fun. I suspect that writers of all kinds are going to keep on writing imaginative literature in every genre. When I was teaching, I used to tell my students, "Writing is writing." There will continue to be good writing in every genre. P&PC: Live long and prosper, then. LT: May the force be with you.